As an artist, designer, and musician, Emily is a creative through and through, who believes in building the world you want to live in. Following the completion of her B.F.A. in Fiber Arts & Textiles from the University of Hawai’i at Manoa, Emily swiftly became engrossed in the illustrious world of European and Japanese design. This flourished into a genuine passion for contemporary furniture and intimate environments; specifically, how they affect a given space and one’s actions. Her designs are inspired from finding the meaning of how the space will be used and how proper and simple design effects the work/ living space. This passion has driven Emily’s career in LOFT at INspiration. Emily attended Milan’s famed Salone del Mobile in 2015 and often visits the flagship showrooms for several of our LOFT designer brands. 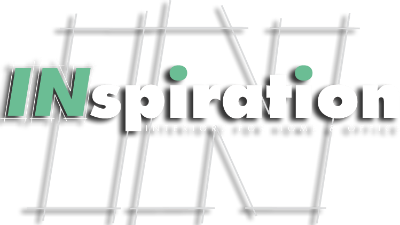 She attended the ICFF Fair, NYC x Design 2016-2018 as INspirations representative. These authentic experiences, coupled with her knowledge and zeal for design, guide Emily in all facets of her role in LOFT. She heads our LOFT events, merchandising, purchasing, and is our Captain of the LOFT showroom. When Emily is not busy creating alluring spaces for her clients, she can be found playing with her band PAGE or traveling the globe. Asairet is a strategic, multidisciplinary designer with an eye for innovation and sophistication. She has worked on various types of projects that revolve around architectural design, interior design, computer graphic design, and event planning. Asairet is enamored with European furniture and has immersed herself in studying the detail, history and integrity of these products. Her designs reflect her architectural knowledge and background which helps to create new spaces and proportions that hold true to the timeless perfection of modern interior design. Her design INspirations are architectural, contemporary, and feminine; and always include a touch of drama and playfulness. Originally from Los Angeles, Asairet moved to Hawaii in August 2012 to attend the Doctorate of Architecture program at the University of Hawaii at Manoa. Prior to becoming a designer at LOFT, Asairet worked for Long & Associates where she helped execute various projects and worked closely with clients to provide exemplary service in order to strengthen their company brand. In her spare time, Asairet likes to visit museums, study integrative nutrition and holistic health, and enjoys cooking and exploring new ethnic cuisines. She also likes to volunteer as an event coordinator with various organizations such as Make a Wish, Hawaii Theater and Ho’ ola Na Pua.